Assisi Renewal Centre has completed 35 years of praiseworthy service in providing spiritual assistance to numerous people. Br.Armond Madhavath, who started this ministry with the help of Br. Gratian, will be remembered with love and admiration. 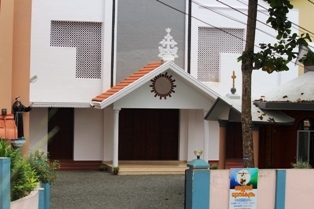 In spite of the mushrooming of Charismatic Retreat Centres in the recent years in various parts of Kerala, Assisi Renewal Centre still retains in singular attraction and spiritual atmosphere.